Spy-Shield is an anti-spyware program that bundles in adware software made by The Best Offers Network company, which was related to the infamous Aurora parasite. 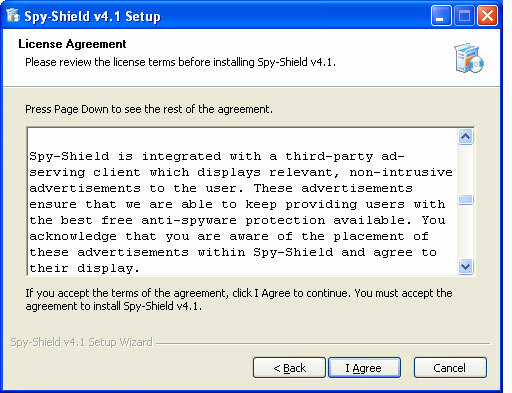 The use of adware is covered in the spyware remover’s end user license agreement, which is displayed during the setup. Spy-Shield cannot be installed, if the user refuses to setup The Best Offers Network product. Although the application does not secretly install any unsolicited software and warns the user, it cannot be considered as a fully legitimate product, since it not only offers adware, but also does not detect it during system scans. See screenshots provided below. We have carefully tested Spy-Shield on several test computers, both absolutely clean and infected. Our tests revealed that the program does not use false positives and can detect some parasites. Nevertheless, it isn’t powerful enough to protect the system from most threats. First of all, it does not scan the entire Windows registry and file system. Secondly, it checks only known malware locations and files that often get infected. Furthermore, the application’s scan engine is not very effective. The Smart Scan does not take more than 20 seconds, while the Full Scan usually needs only 1 minute to complete. As you know, currently there are no such spyware remover that could scan the entire system so quickly. One of the pages on the Spy-Shield official web site looks quite suspicious. It shows a “sample scan” in progress that “finds” 28 spyware infections. This is nothing more than a simple GIF image. The visitor’s system is not actually scanned. This makes us think that a “sample scan” works as goad to purchase and used to frighten visitors. See a screenshot below. The official web site is www.spy-shield.com. 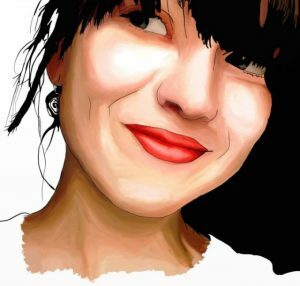 This entry was posted on 2014-05-12 at 16:40 and is filed under Corrupt Anti-Spyware, Software.